Good Shepherd supports international outreach programs each year and uses fundraising events and mission trips to provide financial support in developing countries. ActiveCanvas has been engaged to create marketing collateral for fundraising projects to support The Millennium Project in Tanzania and building new schools and parishes in Southern Intibucá, Honduras. 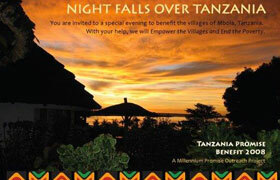 The collateral includes posters, flyers, and event invitations and ticketing.